. "Brock University". The Canadian Encyclopedia, 21 June 2017, Historica Canada. https://www.thecanadianencyclopedia.ca/en/article/brock-university. Accessed 25 April 2019. In the late 1950s, there was growing public support for the establishment of a university in the Niagara region, so that young people could obtain a good education locally. 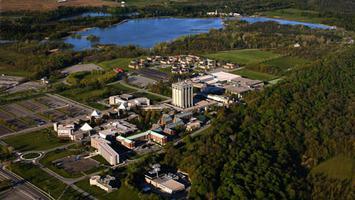 Brock University was founded in 1964 in St Catharines, Ontario. It is named after Major-General Sir Isaac Brock, who died at nearby Queenston Heights in the War of 1812. The school's motto "Surgite!" (Latin for "push on") has been attributed as Brock's dying words during the Battle of Queenston Heights, although there is no clear evidence to support his having said anything; he was shot in the chest and likely died instantly. In the late 1950s, there was growing public support for the establishment of a university in the Niagara region, so that young people could obtain a good education locally. The movement was spearheaded in November 1957 by the Allanburg Women's Institute, which asked the Ontario government to "favourably consider the placing of a university in the Niagara Peninsula." This initiative was supported by the Welland County Council as well, and in 1958 the Niagara Peninsula Joint Committee on Higher Education was formed. In 1962, the Brock Founders Committee was established; it received approval to create a new university, developed an administrative and academic plan, and began raising money. In 1964 the province of Ontario incorporated the university through the Brock University Act. When Brock opened in September 1964, the first 127 students attended classes at St Paul Street United Church. In late October, the University moved to the Glenridge Campus, a refurbished refrigeration factory located at the foot of the Niagara Escarpment in St. Catharines. In 1965 construction began atop the escarpment at the Decew Campus, which would become the University's permanent home. 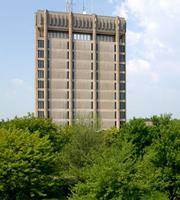 In 1966 the landmark Arthur Schmon Tower was completed, and faculties began moving to the Decew Campus. Since its establishment in 1964, Brock has built a name for the quality of its teaching. Early in the new millennium, Brock transformed from an undergraduate institute to a comprehensive university with flourishing research, graduate and doctoral programs. About 18 000 students are registered in these programs, taught by nearly 600 faculty members. Students have access to experiential learning opportunities, cross-disciplinary and interdisciplinary programs, and one of Canada's largest co-op programs. 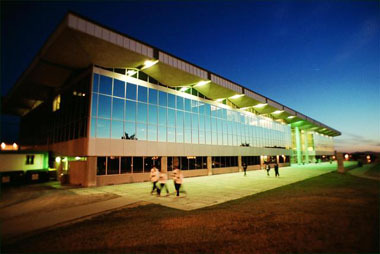 Several research centres are located at the university, including the Environmental Sustainability Research Centre, the Centre for Digital Humanities, the Centre for Bone & Muscle Health, the Cool Climate Oenology & Viticulture Institute, and the Tecumseh Centre for Aboriginal Education and Research. The physical campus has steadily expanded over the years as well. 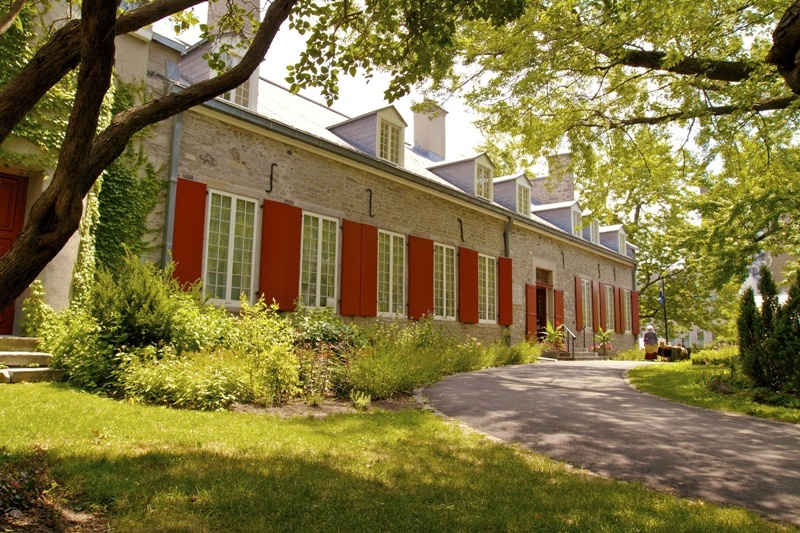 Most of this expansion has occurred at the main campus; situated atop the Niagara Peninsula, the campus is part of a Unesco Biosphere Reserve. Recent construction includes the International Centre and the Jack and Nora Walker Canadian Centre for Lifespan Development Research, a unique facility in Canada. 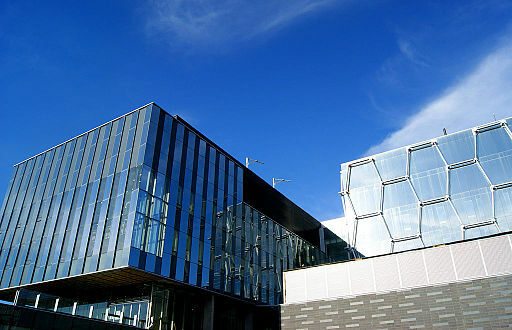 Other developments include the construction of the Cairns Family Health and Bioscience Research Complex, and the relocation of the Marilyn I. Walker School of Fine and Performing Arts to a campus in downtown St. Catharines. Brock also operates a campus in Hamilton, Ont, primarily for teacher education. Brock UniversityThe official website for Brock University.